USDA.gov reports, 41.2 million people live in food-insecure households. 6.5 million are children. Valley Heights FCCLA strives to help bring food to families in our community, through a service project. “It's my second year in FCCLA and I hope to become more active in the organization, this is a great activity to get us started.” says Shae Murk, Soph. 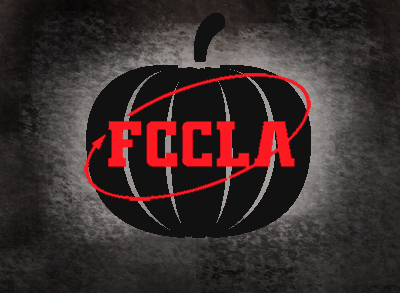 Through a well known FCCLA service project, members dress-up in halloween costumes to go door to door “trick or treating for canned goods.” In previous years, ten members participated during the day collecting the goods. This year’s Trick or Treating will happen in Blue Rapids on Sunday, October 22nd. Members collect 150 or more canned goods to donate to the local food pantry. FCCLA focuses on continuing this service to the food pantry every year, not only to give to the needy, but for the communities to see FCCLA at work helping others. “I've never gone to the Trick-or-Treating, but i'm excited to help out and donate the canned goods to the food pantry.” says Rylie Borgerding, Soph.